MacX DVD Video Converter Pro Pack – All-in-one DVD video converter combined with Mac DVD Ripper Pro and Video Converter Pro. 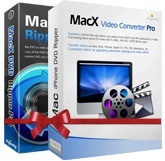 MacX DVD Video Converter Pro Pack, perfect combination of MacX DVD Ripper Pro and MacX Video Converter Pro to convert DVD and video for playback on Mac computer, iPhone, iPod, iPad, QuickTime, etc. MacX DVD Video Converter Pro Pack, excellent Mac converter software to rip both homemade and commercial DVDs to popular video & audio formats, such as rip DVD to MP4, DVD to FLV, DVD to MOV, DVD to iPhone, DVD to iPod, and convert video among various HD and SD video formats, including MKV to MP4, MKV to iPhone, AVCHD to MP4, M2TS to iPhone, AVI to FLV, etc. This DVD and video converter pack also provides you with multifunctional solution to customize parameter settings, clip videos segment, select target subtitle and extract audio and pictures from DVD or videos in a few clicks. With both encrypted DVDs and unencrypted DVDs supported, it allows you to rip DVDs that protected by CSS encryption, region protection, Sony ARccOS protection, New Disney DVD copy protection, etc to MP4, MOV, FLV, MPEG, AVI, MP3 for Mac, iPhone, iPod, iPad, iTunes, iMovie, QuickTime, YouTube, etc. It can convert among all sorts of popular video formats, like MKV, M2TS, AVCHD, MTS, MOD, AVI, MP4, MPEG, WMV, XviD, H.264, MOV, ASF, FLV,WebM, etc. Thus you can transfer video to portable devices like iPhone, iPod, iPad, PSP, Xbox, mobile phone etc, you can also edit converted video by iMovie, or upload videos to video sharing site YouTube, Metacafe, etc. Make perfect 1:1 DVD copy to your Mac computer for backup DVDs from any scratch, loss, or damages. MacX DVD Ripper Pro makes it easy to backup DVDs to Mac as a MPEG2 file with original audio and video quality. For those who would like to make a DVD backup of their videos that collected from HD camcorder (JVC, Sony, Panasonic, Canon), HDTV, Blu-ray video, YouTube, TV show or homemade, it would be a handy solution to create VOB file from them which can be burned to DVD with a DVD burning software. MacX DVD Video Converter Pro Pack also assists you to download and convert YouTube videos to the video & audio formats that compatible with QuickTime, iPhone, iPod, iPad, iMovie, Blackberry, Xbox, mobile phone, etc. Besides, it also helps you to extract FLV, MP4 videos from DVD or video files so that you can share them on YouTube, Metacafe, Break or Rapidshare. Trim any clips of DVD or video as you like thus you can get you desired video segment for playback on iPhone, iPod, iPad and other portable devices. Easily split your DVD or videos into several parts to get video clips or music from your favorite movies. It enables you to capture your favorite pictures from the DVD or other video in JPG or BMP format and set as wallpaper for your Mac and portable devices. For those who would like to make iPhone ringtone from DVD movies, it is also the best choice for you to extract audio from original files in MP3 format. This DVD Video Converter Pro Pack offers high level customization to optimize output video with the resolution, frame rate, video bit rate and sample rate you like. You can also stretch to full screen to better fit your portable devices and change the video size according to your needs. Moreover, you are also allowed to rip DVD and convert videos with one of existing subtitles, audio tracks or without subtitle. With simple designed user interface, it brings you easier and smarter DVD video editing and converting experience. 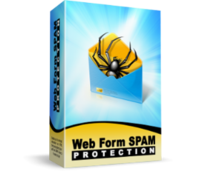 It only takes a few clicks to complete the conversion yet without losing output quality. Since both the high quality engine and deinterlacing functions are specially designed to improve the picture of the videos and keep the original audio and video quality. This Mac DVD video converter makes the DVD and video conversion more efficiently with multi-core CPU, batch processing and hyper threading supported , it promotes the video conversion speed to great extent. With this Mac Converter, you can convert videos, DVDs much faster than other similar tools. Advanced audio and video sync technology is adopted, “Force A/V Sync” makes the output videos with perfect performance with improved audio video synchronization. 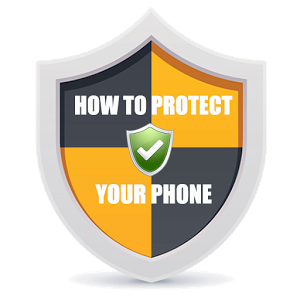 “Safe Mode” is specially designed to smooth the conversion and avoid unexpected cease. MacX DVD Video Converter Pro Pack fully compatible with Power PC and Intel CPU Mac. Support Mac OS X Tiger, Leopard, Snow Leopard. Business Card Maker Software to design and print a Business card. Upgrade: ODBC DAC -> ODBC DAC Pro, to last major version (site license).